This is the first release candidate for Geeklog v2.1.2. Please try it out on a non-production website and give us your feedback. This is the first beta release of Geeklog 2.1.2. Please try it out on a non-production website and give us your feedback. 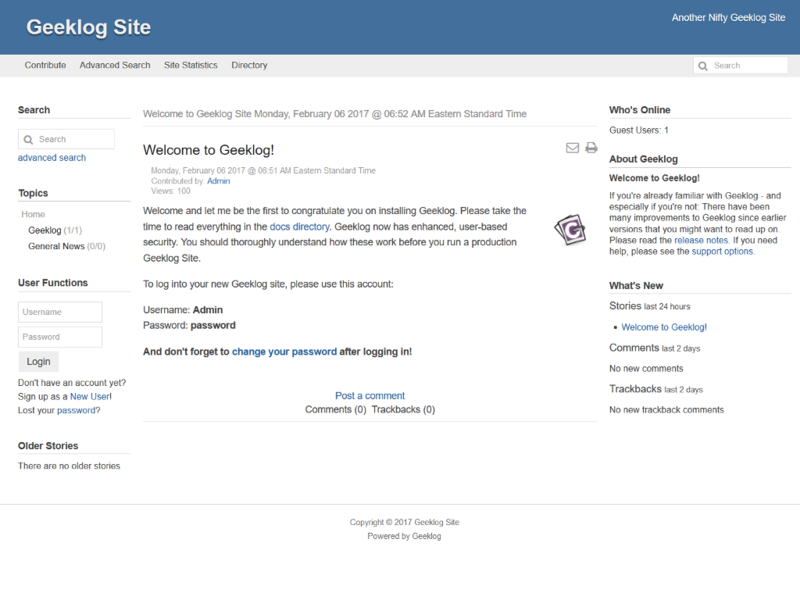 Geeklog 2.1.1 is the recommended version for all users of Geeklog. For upgrades please make sure any plugins you are using are compatible with Geeklog 2.1.0 or higher. This is a complete tarball for fresh installs as well as upgrades from any older Geeklog version. 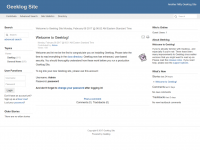 This is the third beta release of Geeklog 2.1.1. Please try it out and give us your feedback. For live sites the recommended Geeklog version is 2.1.0. This is the first beta release of Geeklog 2.1.1. Please try it out and give us your feedback. For live sites the recommended Geeklog version is 2.1.0. This is the recommended version for all users of Geeklog. For upgrades please make sure any plugins you are using are compatible with Geeklog 2.1.0. This is a complete tarball for fresh installs as well as upgrades from any older Geeklog version. This is the first beta release of Geeklog 2.1.0. Please try it out and give us your feedback. For live sites the recommended Geeklog version is 2.0.0.